CLOSED: Psychic Mechanics Course Diagnosis Day Sale! This week is a very special week for me. It’s been 14 years since being diagnosed with an illness that opened me up to my gifts and changed the course of my life in ways I’m still uncovering and learning about. In May of 2004, I was near death and no one knew why. A few months before I was diagnosed, I had seen in a vision that I was going to the hospital and that I would be okay – healthy and vibrant. It’s the only time in my life that going to the doctor was filled with a sense of peace. My guides spoke to me and guided me through my diagnosis and recovery. It was because of this experience that I dedicated my life to understanding the intuition and helping others find that same peace I had experienced. As a way to celebrate, each year I do a Pay What You Can sale and it’s that time! The course this year is the Psychic Mechanics Course. It was my very first course I ever created and I’ve only improved it since the first version went live in 2013. The Psychic Mechanics Course shows you how to talk to your guides to have a real co-creation experience in your life. It walks you step-by-step through how you can talk to your guides, understand your natural psychic self and ask wonderful questions to get direct and actionable information. Plus, the bonuses are sweet. I have added the entire Reincarnation Mechanics Course as a bonus and audio-enhancement technology to all of the meditations. You should still get into the course no problem. You’ve always been able to “read” people and situations, and maybe you thought you were simply reading body language or subconscious cues. But then there are more direct and definite experiences, where you KNOW exactly what you need to do or say, even though there isn’t a scrap of logical evidence to support it. The problem? It’s hit or miss. You get information sometimes, but you can’t tap into your intuition reliably. Everyone gets psychic and intuitive information, and learning your psychic language will allow you to accurately identify intuitive information that you may have been dismissing. Learning this language allows you to grow your psychic abilities for yourself or others much more quickly, because you’ll be using your strengths instead of your weaknesses. A 4 week online course designed specifically to help you develop and hone your psychic genius. 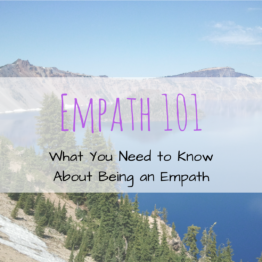 It’s focused on understanding the basics of psychic mechanics – HOW your intuition works and why it works that way. This is perfect for you if you want to develop your psychic abilities, tap into the messages the universe is trying to deliver to you, develop deep trust in yourself and become a full co-creator of your life. There are three keys to being a fantastic intuitive. These three keys, when applied, are what every professional psychic and intuitive work on honing and developing. Each key has two major lessons, complete with videos, exercises and meditations. It may seem obvious, but if you have trouble receiving intuitive information, it’s REALLY hard to develop your psychic genius. The truth is we are all receiving information from the universe all the time, but most of us are looking for a specific TYPE of information (like a visual) and accidentally miss the information that the universe is delivering to us (which may come in the form of a song getting stuck in your head). PLUS four guided meditations that assist you on your journey to unlocking the information you are receiving from the universe. Whether we like it or not, psychic information is almost always in code. It’s our job, on the physical plane, to decode it accurately. Obviously, if you go to all the trouble of receiving information from the universe about your life and the decisions you are making, you want to use that information, right? This is a crucial step. Plus a guided meditation to help you clear your chakras! This seems like an obvious step, but it’s surprisingly hard to follow the advice of the psychic genius. There are all kinds of “things” that keep us stuck and prevent us from moving forward, even when we know what we “should” be doing. This module is all about breaking down those barriers so you can easily and effortlessly trust your psychic genius and take action. Plus a guided meditation designed to help you build trust with the universe. When you sign up for the Psychic Mechanics Course you get the entire Reincarnation Mechanics Course as a bonus! Please note!!! This is a spiritual healing course. I have absolutely no idea or control over what needs healed or what that will look like at the end. Bonus: Support Call Tuesday June 5th 3 pm PST to explore your Psychic Style! Use the drop down menu to choose the price that’s right for you!